World of Warcraft: Battle for Azeroth is the upcoming expansion for the longstanding MMORPG series from Blizzard and it's proving to be one of the best ones yet. With allied races, tons of new zones to explore, highly requested changes to the game from fans, and a climax to a war that was thought never ending - the ultimate battle between the Horde and Alliance is going to be huge. Though the game doesn't come out until August, fans will be pleased to learn that the latest expansion has officially begun beta testing! Beta keys are already rolling out to participate in the early access beta. It's not too late to sign up either! Simply go into account settings on Battle.net and select 'beta profile settings' underneath 'games & codes.' Select the titles that interest you for beta, in this case: World of Warcraft. With all of the new additions to the game, including the allied races, this is definitely an expansion that will be great or newcomers, but is made for veterans. Other additions to the online experience include the brand new Warfront mode. Game director Ion Hazzikostas recently sat down with Polygon to go over some of the questions fans have had about the new Warfronts and what exactly they mean for the title. 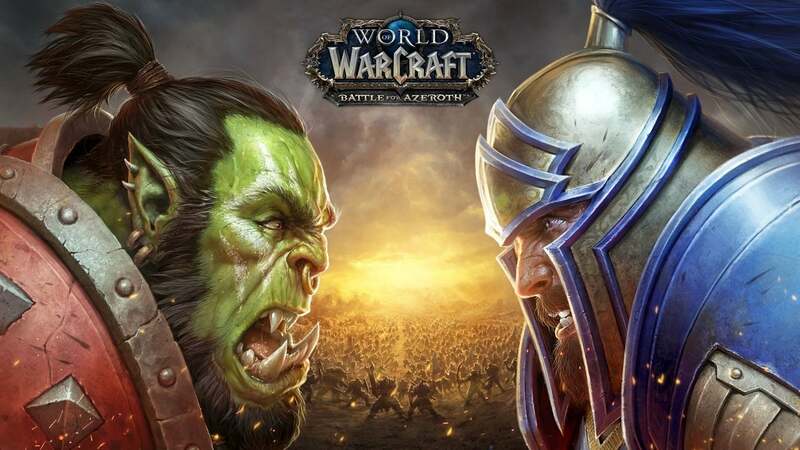 What we learned was that they apparently were heavily influenced by the strategy game Warcraft 3 and will feature 20-player PvE missions with the characters at the helm of heroes leading the charge for the faction they've pledged their loyalty too. You're going to hear a lot of "For the Horde" over here at WWG, just saying. The director opened up a bit about one of the first missions that players can embark on called Stromgarde Keep, which will be available in the Arathi Highlands. For those that have been with this franchise since the vanilla days, this zone will be very familiar to you. The event will then launch with Horde vs Alliance until one of the factions has enough resources to kickstart a Warfront. Seems pretty straightforward, and a really enjoyable PvE experience. The ultimate goal is to take control of the zone, which can then spur a counter Warfront for the ultimate revenge. The director also made it clear that winning a Warfront isn't the only goal either, simply launching one will reap the benefits. Since there is no "failure state," there's no reason not to launch right in. Eventually, the zones will trade hands from faction to faction every 1-2 weeks, though we don't have any clear idea what exactly the rewards will be for holding down a zone versus simply partaking. World of Warcraft: Battle for Azeroth begins August 14th!